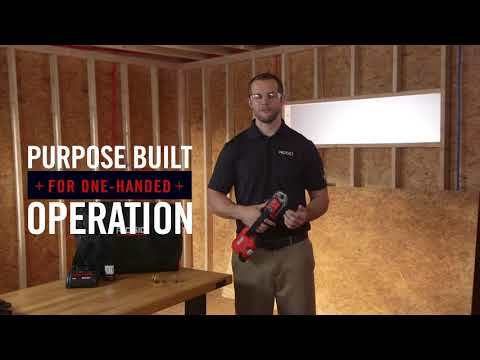 The RIDGID PEX-One 12V Battery PEX Tool is designed for contractors who repair or install PEX plumbing systems. The lightweight, low-profile PEX-One presses multiple-size connections, up to one inch, with a single tool. 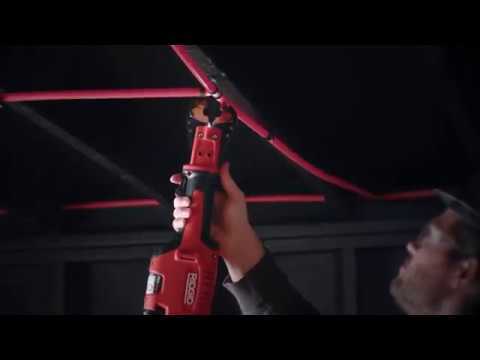 The RIDGID PEX-One gives you the one-handed functionality you need for easy and accurate press connections in tight or hard-to-reach spaces. PEX-One™ 12V Battery PEX Tool is rated 4.4 out of 5 by 5. Rated 4 out of 5 by 2007 from Easy to use and light weight Great addition to tool trailer only one complaint jaws sometimes get hung on edge of fitting when working tight spots,but it is a minor thing,it is great tool and a time saver at the end of the day. Rated 4 out of 5 by DanReis from Easy To Use This product is extremely easy to use in tight spaces. It is much lighter then competitive products as well. Rated 4 out of 5 by PlumbingGod from Great for the one hand operation I have become a Ridgid spokesman, buying the new products that come out. I have enjoyed the products that I have ppurchased. 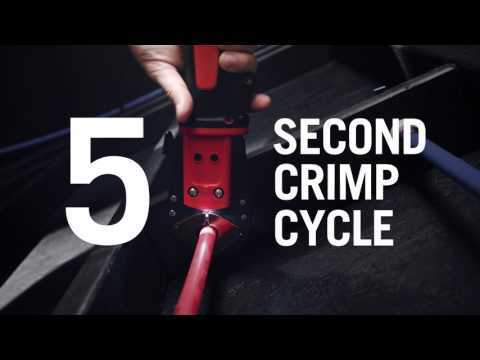 Rated 5 out of 5 by Radcon from Great Product The only complaint I have is that the tool is a little heave but you would expect that for a tool that can crimp like this one does! Also wish that it could be designed so that the head could be turned 90 deg to make it easier to access fittings between the floor joist. Rated 5 out of 5 by pipelayer from PEX ONE I LIKE TOOLS THAT MAKE MY JOB EASIER!!!!!! I ALWAYS TRY TO BUY RIDGID QUALITY AND INDUSTRY LEADING WARRANTY!!!! WHY WOULD YOU SPEND YOUR MONEY ON A TOOL WITH ZERO WARRANTY???? ?